The all-new Ford Focus has been awarded the maximum 5-star safety rating by independent crash test authority Euro NCAP. The all-new Ford Focus is one of the first vehicles to be awarded the highest rating under new more stringent Euro NCAP testing protocols. The Focus was also recognised as ‘Best in Class’ in the ‘Small Family Car’ category, after achieving a 5-star crash rating and scoring highly in four key safety areas: adult occupant, child occupant, pedestrian and safety assistance. The Ford Focus is the first car to win four Advanced Safety Rewards from Euro NCAP, the independent safety body. Watch the video below to see it in action. 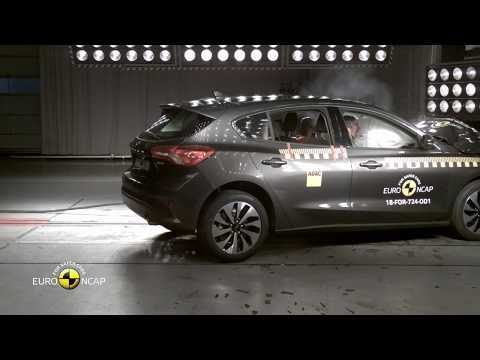 A series of tests were carried out including pedestrian and cyclist tests, whiplash tests and active safety tests based on the cars equipment. You can see for yourself just how resilient the all-new Ford Focus is.